What’s better than brownies? Peanut butter brownies of course! 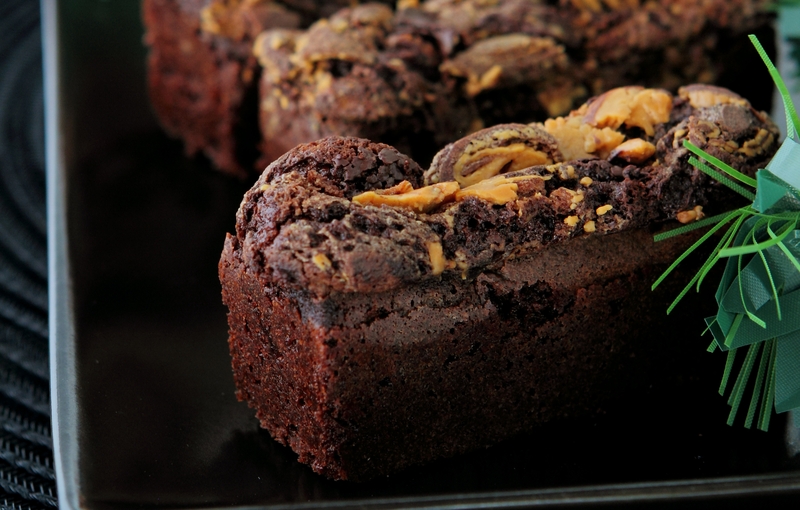 These delicious brownies will delight family and guests alike. This recipe was first published in Flavours magazine. Sift flour, baking and cocoa powder together. Melt margarine and chocolate in bain-marie. Cream eggs and sugar. Whisk in flour mixture. Add in vanilla, melted margarine and chocolate. Mix well, then add chopped chocolate and cast in a large rectangular mould or in individual moulds. Drop small spoonfuls of peanut butter into the chocolate mixture and swirl through the chocolate with a paring knife.